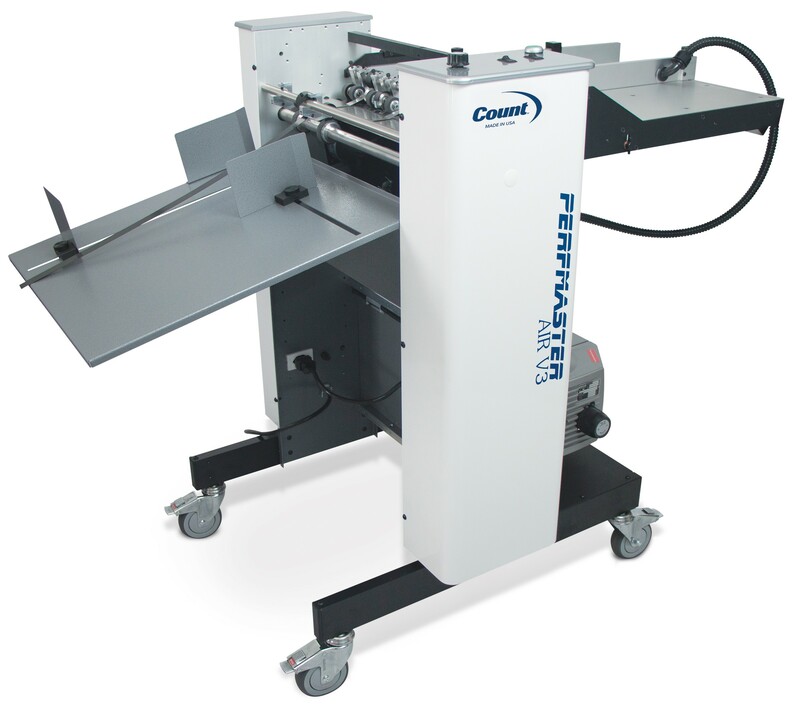 The COUNT™ PerfMaster Air V3 is a simple-to-use vacuum-feed perforating and scoring solution that gets the job done quickly. The built-in register guide draws the paper against a side rail to ensure accurate registration of each sheet. 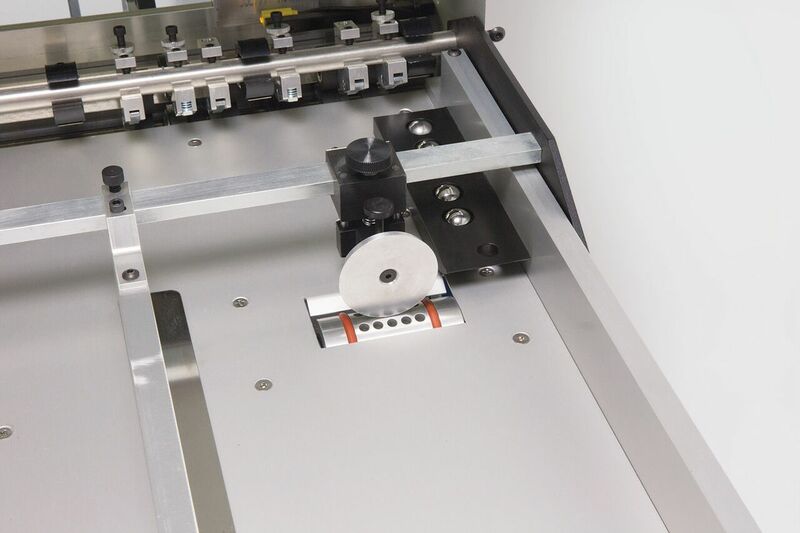 You can easily set up for a wide range of paper stocks, and switch from perforating to scoring in seconds. You have 5 different interchangeable perf wheels available, including standard and micro-perf options. Built in stand with wheels makes for easy mobility. 18″ wide paper feed capacity. Easy to set perf and score depth control. Capable of feeding single sheets, coated, multi-part open and glued edged stocks. Paper stops on the receiving tray can be easily adjusted to accommodate the size of the paper. 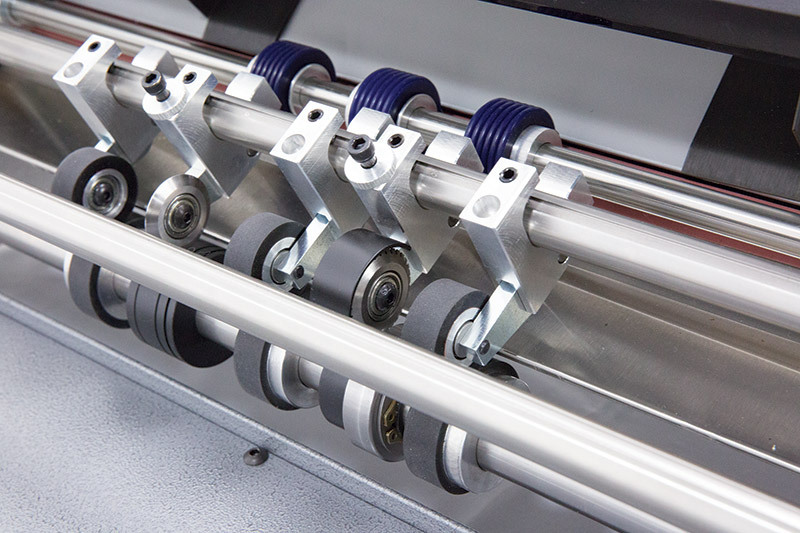 Guide rails on the paper feed table are easily adjustable for various paper sizes. No need to fan the paper before feeding it through the machine. 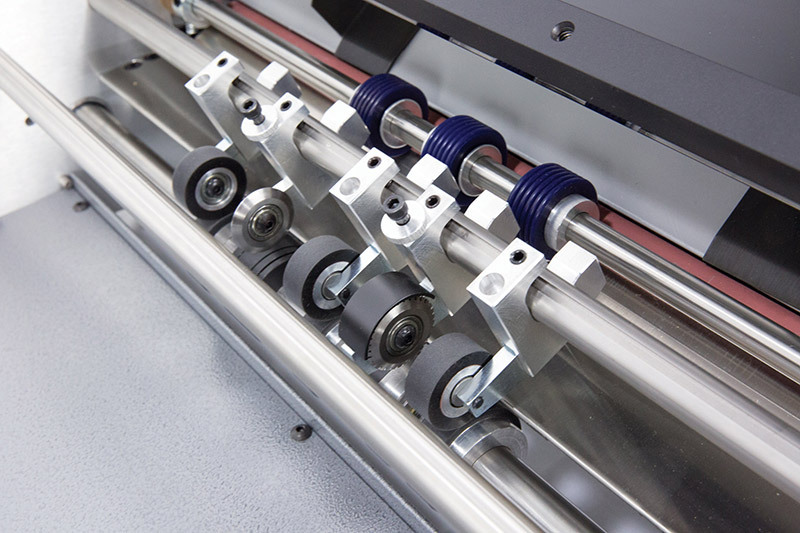 Bottom vacuum feed and dial controlled speed adjustment allow for easy sheet spacing control. Metal paper guide keeps paper flat on the receiving tray. See other COUNT Perforating and Scoring machines here.